A covered portico leads guests in through the double entry doors into “The Great Room” featuring a limestone central open fireplace surrounded by opulent seating. 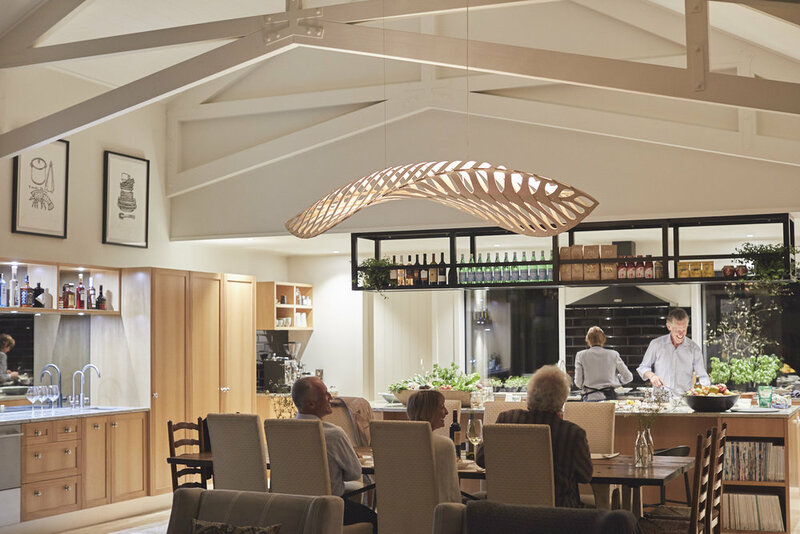 A David Trubridge “Navicular” chandelier pays homage to the distant sand dune of Mangawhai on the horizon and designates the dining area where guest gather around a repurposed solid elm table for the shared dining experience (alternatively, guests can elect to have private dining in or outside their rooms or in a selection of other dining locations on the property). A full bar is available to guests for pre-dinner drinks and a range of NZ and international wines are offered on the wine list menu. The solid tawa timber kitchen with granite tops is a chef’s delight where memorable meals are created using fresh organic produce from the property together with other local ingredients. 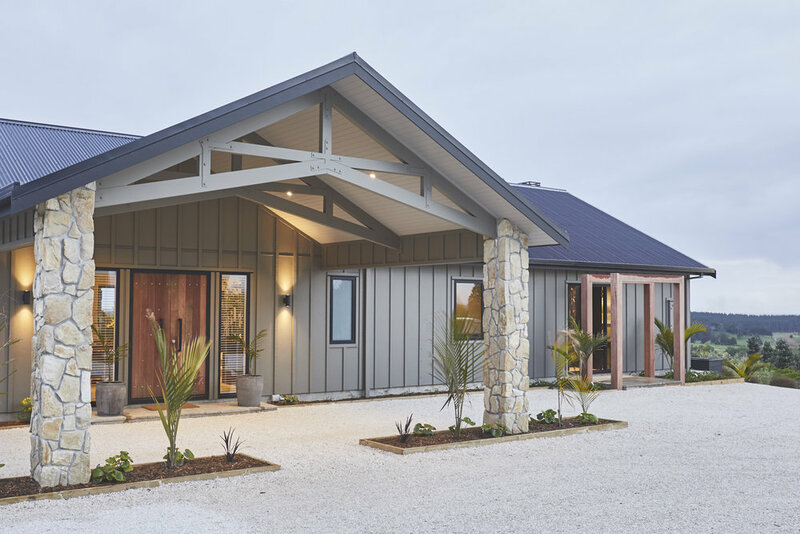 A north-facing terrace framed by purpleheart timber beams extends along the entire frontage of the property with a covered portico and open fireplace being an ideal place to watch the sun set with a glass of wine. A 20 meter long heated pool sits directly below the terrace, complemented by a cedar hot tub set into the edge of the bush. 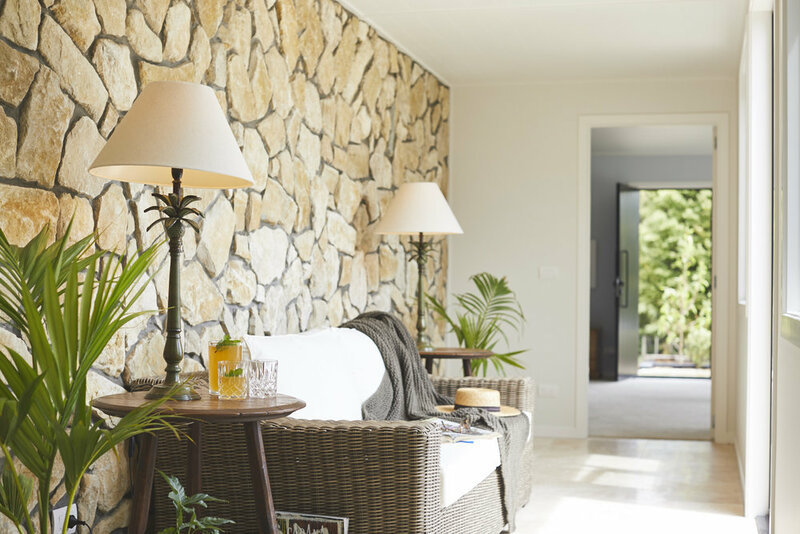 A generous yoga studio and gym with full length mirrors flows out onto the pool decking together with an infrared sauna, indoor and outdoor shower, bathroom facilities and a mini bar / hot beverage kitchenette.